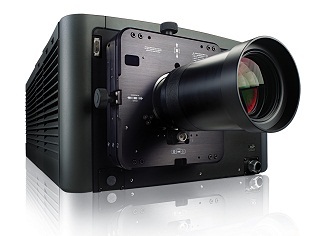 Christie, has pioneered projection technology and is credited with many industry firsts … in particular those associated with CRT systems, cinema and digital projection and has received two awards for technical excellence from the Academy of Motion Pictures Arts and Sciences. Christie employs more than 1,000 professionals worldwide and Christie’s EMEA operation (Europe, Middle East and Africa) is supported by strong team of dedicated personnel to deliver first rate technical and customer support, application engineering and design, marketing and sales for from their headquarters in Wokingham, Berkshire, United Kingdom. From its EMEA headquarters Christie supports a network of local technical, customer services and sales teams across the region and this is further reinforced with full-service facilities in France, Germany, Hungary and United Arab Emirates. Visual Solution Centres are located at the UK, French and German offices. Christie’s manufacturing and assembly facilities are located in Cypress, California, USA (Christie’s international headquarters) and in Kitchener, Ontario, Canada, the site of a modern ISO 9001:2000 and ISO 1400:1 certified facility. Further international offices are located in Beijing, Shanghai, Singapore and Japan. Christie is a privately-held company.